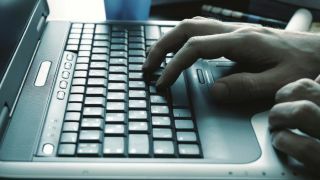 Two Israeli teenagers have been arrested, accused of running an online service which performed distributed denial of service (DDoS) attacks on websites for paying customers. Called vDOS, the website went offline not long before the arrests were made. Following their arrests, Itay Huri and Yarden Bidani, both aged 18, posted bail payments of $10,000 (£7,500) each. The pair were placed under house arrest for 10 days, were forced to hand over their passports, and were banned from using the internet or any other communication equipment for 30 days. According to the BBC, an Israeli police spokesman who spoke to Israeli newspaper Haaretz, the arrests were the result of a tip-off from the FBI. The arrests have also notably come not long after cybersecurity expert Brian Krebs published a long expose on the site, using information obtained from an informant who had hacked the vDOS database earlier this year. According to Krebs, vDOS is said to be behind more than 150,000 DDoS attacks over the past two years, reporting that: "To say that vDOS has been responsible for a majority of the DDoS attacks clogging up the internet over the past few years would be an understatement." By charging anything between $20 and $300 per month for each attack, the service has managed to generate $600,000 in this short period of time. DDoS attacks have been increasing year on year and they show no sign of slowing down, with online security company Verisign reporting that attacks have doubled in the last year alone. Should you buy a Surface Book?